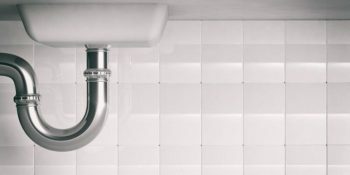 Your pipes will sparkle after our drain cleaning in Spanaway! Keeping your pipes clean makes it less likely that something will go wrong with them. But even with the delicate care, the drains can start to collect fat, grease, oils, and other debris that can be difficult to get rid of. Over time, these can accumulate and start to cause issues with your plumbing. 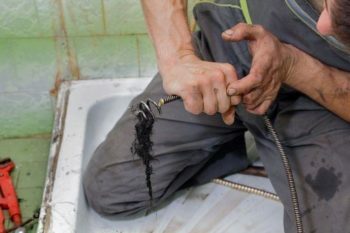 If you notice that yours is acting unusual, you should try calling the plumbers at John’s Plumbing & Pumps, Inc. We’ll check to see if drain cleaning in Spanaway may be able to help you and fix any plumbing problems you have in the process. There a few signs and symptoms to watch out for that signify that it might be time to clean the pipes. Slow draining and backups. Sinks and tubs that drain slowly might be because something is clogging them, including build-ups of dirt and grime. Strange smells. Odors are a surefire way to know that something might be wrong. If they’re coming from your drains, this could mean you have a backup or cleaning should be done. Frequent clogging. If you’ve been careful about the amount of toilet paper you’re using and yet the clogs keep coming, it could be due to having drains that need to be cleaned. Beware of drain cleaning scams! Not all plumbing companies can be trusted, and some try to take advantage of people because plumbing work can be so complicated. One way that they do this is by scheduling unneeded drain cleaning services. Some of these techniques include using previously recorded footage and claiming that it’s your system (it would be hard to go and see for yourself!) or by making false claims about other evidence proving your pipes are in poor condition. While drain cleaning is often beneficial, it isn’t always a necessity! Why Should I Choose West Coast Plumbing to Clean My Drains? Experience you can count on. While many other plumbers are just starting to get on their feet, we’re veterans of the industry with more than 60 years of experience. You’ll be hard-pressed to find any kind of plumbing issue that we haven’t seen and solved before! The latest and best drain cleaning techniques. Drain snakes and conventional rooters work great for many problems. However, newer methods such as hydro jetting are better in many scenarios. While traditional drain snakes are great for small clogs, hydro jetting can remove clogs while cleaning your drains in the process and is ideal for maintenance and prevention. Fast & friendly service. Plumbers and other service industries are notorious for not sticking to their appointments. We’re doing our best to change that stigma. When you call us for an appointment for drain cleaning in Spanaway or any other plumbing service, we’ll be there when we say we will, or call you to let you know if there’s an emergency. You won’t find anyone around that can match our service and experience!